Reserve the Date – Saturday, Nov. 17, 9-4:30pm for the first Hearing Loss Summit. This is an opportunity to meet new friends, network with professionals, learn from workshops, get your questions answered, plus a look at the latest technology. Check the flyer for details. REGISTRATION IS REQUIRED. 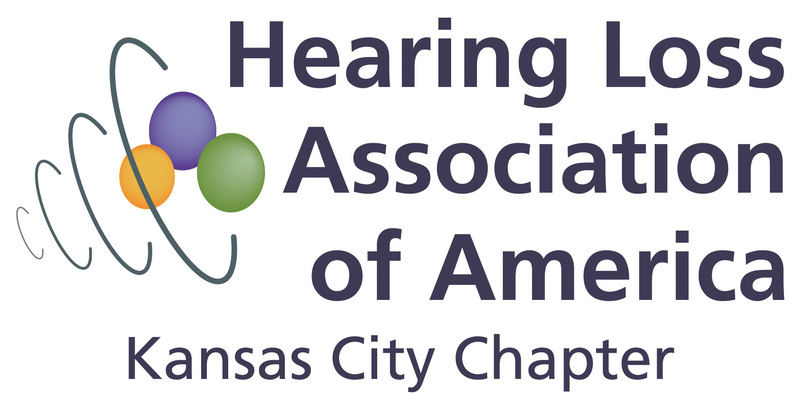 The Kansas City Chapter is a Public Charity Status non-profit 501(c)(3) providing information, education, support, advocacy and networking for people with hearing loss, their families, and friends. There have been many requests for lipreading classes. Grab your seat today for this limited one-time chance to learn from an experienced instructor. Free and Open to the Public – This is an opportunity to try your hearing aid or cochlear implant T-Coil setting to listen in the theater’s new loop system. If you haven’t used your T-Coil in a looped room, you might want to consult with your audiologist to be sure you have a program for looped rooms. You will want to get the full experience of a direct connection to the speaker without the background noise. Gael is a wonderful speaker. Please share and spread the word. Gael Hannan is a writer, actor and public speaker who grew up with a progressive hearing loss that is now severe-to-profound. She is one of North America’s most sought-after speakers on living with hearing loss. She has received several awards for her work, including the Consumer Advocacy Award by the Canadian Association of Speech Language Pathologists and Audiologists, and several awards from the Canadian Hard of Hearing Association. Hannan draws on a lifetime of experience. Her work touches every aspect of life: growing up hard of hearing, going through school, in social situations, the challenges of hearing loss in the workplace and, most importantly, the effects of hearing loss on relationships, especially those of being a mother and a life partner. Individual’s with hearing loss will enjoy her relatable presentation I’m Hearing as Hard as I Can. Hearing loss isn’t funny–but Gael believes a sense of humor makes living with it easier. This event will be total communication accessible as the room is looped, Communication Access Real-time Translation(CART) and ASL interpreter provided. No need to reserve a seat or call for a ticket. It is open to the public. It is first-come, first-serve. The doors open at 6:30. Check with your audiologist to be sure you have a T-Coil program for listening in a looped room and know how to turn it on. The next Nelson-Atkins ASL Tour is on Sunday, June 24, at 1pm and 2pm. The tour covers the Asian Collections. As always, tours are FREE! Please contact Lucy Crabtree, Deaf Cultural Program Coordinator (contact info below) for any questions. 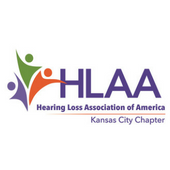 The Kansas Commission for the Deaf and Hard of Hearing (Late-Deafened/Hard of Hearing task force) is planning an all-day event in November 2018 in the Kansas City area for people who are hard of hearing people (HH), people who wear cochlear implants (CIs) and/or hearing aids (HAs), and people who identify as late-deafened. Statewide or regional events for Deaf people and Deaf/Blind people have been held over the past several years, so we are focusing on the needs of others with different experiences of hearing loss. Please fill out this survey to help us plan a successful event. We appreciate your feedback! My name is Jodie and I work for a non profit theater group – No Limits for deaf children. We are the only theater group in the country that works with oral deaf children. This summer we are hoping to come to Kansas City to do a show with some local kids. We were contacted by a father in the area who wanted his daughter to be involved. I am reaching out because I’d like to see if you can put me in touch with parents of children with hearing loss in the area. We are looking for 8-10 kids, ages 5 and up to be a part of a really fun and educational theater show called “Mission: Possible”. The rehearsals and show will take place at Musical Theater Heritage. The whole process takes about 3 weeks – 80 hours of rehearsals- and the kids gain new language, confidence, and friendships. The rehearsals begin June 25th with a final performance July 15th at Musical Theater Heritage at Crown Center. All rehearsals and performances will be held at Musical Theater Heritage. Let me know if there’s someone specific I can speak with. I’d love to reach some parents and see if they’d like to join in on the fun this summer! Come Saturday to listen about the making of Wonderstruck from the author and screen writer, Brian Selznick! Then settle in for an Open Caption screening of Wonderstruck. The captions will be displayed on the bottom of the movie screen. Bring your charged mobile device (iPad, iPhone or Android) to theater if you would like to see the the author’s pre-show talk closed captioned on your mobile device via CART Communication Access Realtime Translation. Through your Internet browser you will connect to the URL (above) before the author begins speaking. This same URL link is used for both screenings at 12:30 and 12:45. This URL will NOT be active until 12 noon Central time on Sat., Nov 18th, 2017. CART supplied by Deanna Baker. Amazon is providing ASL Interpreter from NEXUS Interpreting. Thank you for both of these wonderful services! This movie reveals the stories of two deaf children! One is a deaf actress. Please come support their performance by watching movie with us! EVENT IS AT AMC 20 TOWN CENTER, NOT AMC 28 OLATHE! Wonderstruck will not be shown at any other AMC locations. Glenwood will also play Wonderstruck with a limited number of CC devices. Tivoli will also show Wonderstruck. At AMC 20 there will be two auditoriums with 69 seats each. Brian Selznick, Wonderstruck’s book author and screenwriter, will do a LIVE pre-show talk starting at 12:15 in one auditorium with the OC movie starting in that auditorium at 12:30. At 12:30 Brian will repeat his pre-show talk again in the 2nd auditorium and the OC movie will begin at 12:45. He will talk for 15 minutes in each auditorium. The pre-show talk includes Communication Access Realtime Translation(CART) provided via movie-goers’ own iPads, iPhones or Androids devices. CART will be provided at both 12:15 and 12:30. Please arrive with your mobile devices charged up for the 15 min pre-show talk. After connecting to your mobile devices through an Internet link via theEvent URL, Brian’s presentation will be translated onto your mobile devices using CART. The stenographer will be translating remotely to your mobile devices. Wonderstruck will be released Fri, Nov 10th at AMC 20 and can be seen with CC devices any showing while it is at AMC 20. If you are an AMC Stubs member, you will be able to connect to AMC’s WiFi. Then you can choose to stream the CART over AMC WiFi or from the cell phone tower. We welcome all, the general public (hearing and people with hearing loss). We strongly suggest you buy your tickets online in advance. You can buy at the door, but it could be sold out. Please “Like” facebook.com/hlaakc to receive latest updates for OC movies each week on your Facebook wall. Then you can re-post to your wall for other friends or share to your own organization’s Facebook page. You’ll have control of which OC movies and HLAAKC events you want to share. FYI AMC always chooses the movie title for OC. We are searching for volunteers and if you would like to contribute your interest and talents to upcoming events, just drop us an email at HLAAKC@gmail.com or private message us. By working together, we can improve life for those with hearing loss in a hearing world. I laughed. “Uh, just a little!” I replied, tongue in cheek. I filled her on what had happened—how last month, Marvel made a short clip starring Chris Pratt to promote their latest offering, Guardians of the Galaxy 2. The clip started out with subtitles, but a few seconds in, Pratt urged viewers to turn up their sound and ignore the subtitles, and motioned as if to wipe the subtitles off the screen. The subtitles disappeared. The rest of the clip continued without subtitles, and did not provide an option to turn them back on. Fans objected, saying that such a move was insensitive toward those who rely on subtitles to understand videos, and Marvel took the clip down. For many of us, captions are not optional. They grant us access to the most prized commodity of all: information. Information is how relationships are built, purchases are made, and jobs are landed. Even when the information is entertainment, as in a movie trailer, it is still a hot commodity. For better or worse, movies, television, and other media give us cultural reference points and an opportunity to connect with others over these. When Pratt “wiped off” the subtitles in the original video, I literally gasped. “He did NOT just do that!” With a simple sweeping motion, I felt like he was pushing me away from the screen, pushing me away from a community I have just as much a right to as anyone else. I’ll say again—captions are not optional, and not just for people who are D/deaf or hard of hearing. The universal nature of closed captions means that they assist English Language Learners in synchronizing spoken and written English, foster literacy for children and adults who are learning to read, and make information accessible for everyone, regardless of their degree of hearing. I even learned recently that people with cognitive processing issues rely on captions. Captions, then, should be the norm and not the exception. Marvel was wrong to treat them as optional. I’m grateful for Pratt’s apology and that Marvel acted swiftly to remove the offending video. Not only do we need captions, we need an updated vocabulary. Several online news outlets, including Variety, People, ET Online, and Yahoo, reported on Chris Pratt’s apology by using “hearing impaired” in their headlines—a phrase Pratt himself used in his Instagram post. “Hearing impaired,” however, is an archaic term that many people who are D/deaf or hard of hearing have long abandoned. That alone should be reason enough to stop using the phrase—out of respect for and to show hospitality to people who have historically been marginalized. The fact that Pratt uses “hearing impaired” suggests that he does not interact with many D/deaf or hard of hearing people. He does refer to having “hearing impaired” people in his life, but that makes me think that he is either not close enough to them to choose a more respectful term, or that the people in question are from a different age when the term was more acceptable. “Hearing impaired” conveys a sense of being “broken” or incomplete, and puts our hearing loss first instead of our personhood. This “brouhaha,” as my mom called it, is ultimately about respect. Providing or turning on captions and subtitles, and being intentional with vocabulary, shows respect and care for people who are deaf and hard of hearing—who could very well be your neighbors, your kids’ friends, the people in line in front of you at the grocery store. Words, whether they are displayed on a screen during a movie or used to describe someone else, reflect and shape how we think about people who are different from us. Marvel and Chris Pratt will, I bet, be more careful going forward. The rest of us would be wise to follow suit. I am pleased to bring you some news! Our wonderful Valerie Stafford-Mallis, director of chapter development, is entering the well-deserved world of retirement on March 31, 2017. She and her husband, Sam, are retiring from their careers on the same day and are starting their retirement life together in Florida where they live. My selfish nature says “boo-hiss” because Valerie has brought a strong sense of professionalism and business sense to our chapter department as well as her willingness to assist and train our chapters in many positive ways. We sure do hate to lose her. But, how can we not be happy for her and Sam? Be sure to catch the article in the upcoming March/April issue of Hearing Loss Magazine where Valerie says her goodbyes and gives us some insight into what she will be doing. Congratulations and thank you to Valerie. Valerie’s last day is March 31, but she and Erin Mirante (see below) will be traveling to the Pacific Northwest (March 4-5) and to St. Louis (March 11) for chapter development workshops before Valerie retires. Knowing that Valerie was going to retire sometime in 2017-18, we hired Erin to work part-time in chapters and part-time in membership/data. Erin quickly showed a keen interest in chapters, especially as she began to interact with you. Our hope for Erin came true when she said she would LOVE to work with HLAA Chapters full time as our national chapter coordinator. Erin is a recent graduate of the University of Maryland and has a degree in social work. She has been a volunteer herself throughout her college life (and before) and did an internship with a local adoption agency helping parents navigate the complicated process of adopting a child. Her compassion, warmth and intellect are immediately evident. She also understands what it’s like to be a volunteer and appreciates all of you who volunteer your time and talents for HLAA. I am pleased to have Erin on staff to support chapters. For those of you going to Convention 2017, Erin is looking forward to meeting all of you. Please join me in welcoming Erin Mirante as the national chapter development coordinator! She is a lovely, young woman and we are all excited to have her and her passion on staff. Leadership Training at HLAA2017: As always, there will be a room devoted to chapter workshops at the convention. On Wednesday, June 21, there will be a leadership workshop with a renowned presenter who has worked with companies like McDonald’s, Pampered Chef, H&R Block, Ericsson, and more. I wish I could sneak in myself, but I will at the HLAA Board of Trustees Meeting. We are thrilled to bring you this top-notch presentation, sponsored by CaptionCall. We are all part of one HLAA. Without the national organization, there would be no Walk4Hearing, HLAA state organizations or chapters; and without the “boots on the ground” at the local and state levels, the awareness, mutual support, local/state advocacy, access, and much more, couldn’t happen. Thank you for the work you are all doing across the country. GKCBLN will be hosting webinars for job seekers and those who support job seekers, to demonstrate the features of SHiFT and how you can get started. You are invited to attend one of these 45-minute Demos. To join via your computer click on the following link. SHiFT is a new and unique matching tool to use in your job search. businesses looking for those attributes for their open positions. Get started today and get working! Want to learn a new skill? Fabulous opportunity to try something new or refresh your memory if you already know the basics. Can’t beat FREE with deaf instructor + certified ASL instructor! Fun and interactive with students. Games and at home YouTube films to help reinforce signs taught in class. If you can’t make it to all the classes, it is okay. No testing. Register today! Support captioning & sign our petition! Kansas: Turn On the TV Captions Now! Do You Have Equal Access to Communication at Your House of Worship? Are you or know someone feeling left out at your church because they are unable to hear during services or at events? Are you bluffing, pretending you heard to fit in with other family or friends who hear fine? Do you know people with hearing loss all around the world have the same issue as you? If you were able to change something so that you could read the presenter’s sermon, would you? Maybe you would, but do not even know about CART (Communication Access Realtime Translation). Most are familiar with closed captioning on TV monitor for broad cast programs or newscasts. CART provides captioning at live theaters on individual devices for one person or a group of people or displayed on a screen or wall to benefit the entire audience. CART is provided by a stenographer on-site or remotely by listening to the speaker and translates to captions on the devices or screen/wall. People who have hearing loss can request captioning. Captioning is beneficial to others who hear fine, but are unable to hear in noisy situations, such as restaurants or gyms. Captioning also helps those learning English as a second language. We want to give you a little boost of confidence to provide some details how to ask for captioning for the upcoming holiday church services or special events. CCAC has put together a nice explanation of what CART is and why it is important to you so you can feel a sense of belonging and taking part of your holiday service with your loved ones and friends. Thanks to Collaborative for Communication Access via Captioning (CCAC), you can read more here and print out a clean letter here to present to your house of worship. As a bonus, a transcript of the captioning usually can be requested from the CART provider. Your church can upload it to their website to share with others, which is an attractive feature to draw people to their church in the future. Some folks prefer receiving a customized sound broadcast by setting their hearing aids or cochlear implants on the T-coil setting when the event has “hearing loop” technology. After listening to Hearing Loop Demonstration – By Juliette Sterkens, AuD – YouTube you may email us at hlaakc@gmail.com for more information about Loop America. Sign language interpreters are more common, but many must request in advance. Below, the Overland Park Church of Christ always offers interpreters on Sundays without requests. Songs are always captioned on the monitor. Interpreters are provided for songs & live service, but captioning is not provided for live service. With these tools you now have, feel confident reaching out to the administration of your church and request captioning. You will find others also enjoy it, plus people have a 50% better chance of remembering what was said if they can both hear and read it. There is 48 million Americans with hearing loss. 20% or 1 in 5 have some degree in hearing loss, so you are not the only one. Your family and friends can support your advocacy efforts knowing you will be more included makes everyone happier too. No one likes to see someone get left out on what is said. Be a change maker by speaking up what your needs are and make your house of worship communication accessible this holiday season. If you don’t, no one can tell because hearing loss is invisible. The following list of Faith Based Services for Deaf and Hard of Hearing in Greater Kansas City is supplied by The Whole Person. To find out the exact type of service provided, please contact the church directly. Another great resource is National Deaf Association of the Deaf’s When Captioning is Required. If you enjoyed this topic, please share with others. Leave us a reply or email us if you know other house of worships with communication accommodations not listed or topics you would like to learn more about in future. Have a wonderful holiday season and travel safely. Support captioning & sign our petition online: Kansas: Turn On the TV Captions Now! HLAAKC announces that the Greater Kansas City Business Leadership Network has a new way for job seekers with disabilities, including hearing loss to apply for jobs. A HLAAKC member attended a SHIFT meeting and learned there are employers who are looking for employees with disabilities, including those with hearing loss. SHIFT helps match employers with SHIFT registered job-seekers who happen to have a disability. During the meeting, HLAAKC explained how people with hearing loss can have several different phone numbers, such as InnoCaptions and Sorenson, but you can simply mark your phone numbers in preference of how you like to be contacted without disclosing it is a service for deaf or hard-of-hearing. SHIFT is an exciting tool we hope you are thrilled. Please send us feedback at hlaakc@gmail.com, so we can spread the news. Are you supporting someone to find a job? Christmas at Resurrection is a Kansas City musical tradition that takes place at our Leawood campus! This must-see musical presentation features more than 300 actors, singers, dancers and instrumentalists in a celebration of Christmas and the depiction of the traditional Christmas story. Make plans to attend the very first Open Caption performance and the only OC performance on Saturday, Dec. 10th. Join us for this great family holiday tradition as we celebrate Christmas at Resurrection! Mark your calendars! This has been a long project in making a dream come true for those with hearing loss will experience this play with open captions for the very first time on Sat, Dec. 10th 1pm. HLAA-KC is proud to offer this as result of advocating for OC since beginning of this year. Tickets for this event – You can go online at the link above, or call 866-830-5067. At that number Lori is very patient in helping with seat selection. The best place to see stage and captions for $12 + 1.06 tax is in Sections B (all seats starting with 1 working to the left) and Section J (all seats starting with 16 and going to the right). Those are considered “center side tickets”. However, the captions can be seen from any seat in the Sanctuary, even the back row on the upper level! Sections C-H are $22 seats. Sections A, B, I, J are $12. You can go online and pretend to order to see the seats left and back out, without buying, if you want to. They cannot hold seats for our group. They sell out on this matinee performance fast. We recommend calling right away or buy online now, if you know you can come. Do not delay. The general theme of the play is everyone is busy buying Christmas gifts and forget the true meaning of Christmas, then they transform into celebrating Jesus’s arrival. Actor’s costumes and live nativity animals are all part of this smartly crafted live performance so if you happen to have hearing loss or deaf, your eyes will be smiling throughout this show! There is no extra fee if you go online and purchase tickets. No refunds and no exchanges. Please “Like” our Facebook Event or subscribe to our blog, so you can receive updates and share with your family and friends. Tickets are on sale online(see link above). If you have questions, please email us at hlaakc@gmail.com. Come and enjoy the spirit of Christmas! 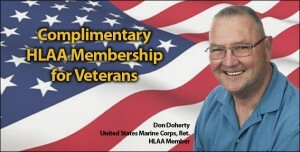 Do you have a hearing loss due to military service? 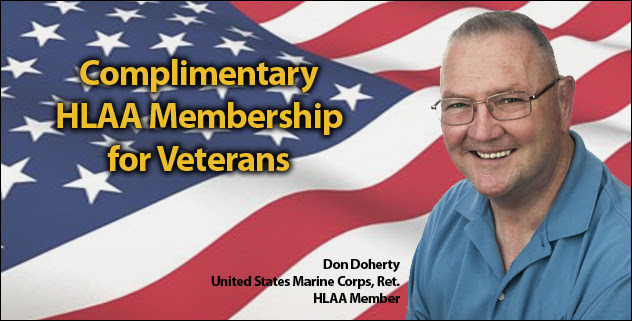 A report from the United States Department of Veterans Affairs estimated that more than 59,000 military members are on disability for hearing loss from Operation Iraqi Freedom and Operation Enduring Freedom.